CAF Champions League high riders Primeiro crash in Congo - SABC News - Breaking news, special reports, world, business, sport coverage of all South African current events. Africa's news leader. Mbabane Swallows of eSwatini were crushed 4-0 at home by Simba of Tanzania. Angolan club Primeiro Agosto, who reached the CAF Champions League semi-finals last season, were shock casualties in the 2018/2019 preliminary round this week. The Luanda club managed by Bosnian Dragan Jovic lost 2-0 away to AS Otoho of Congo Brazzaville and were eliminated on away goals after a 4-4 aggregate tie. 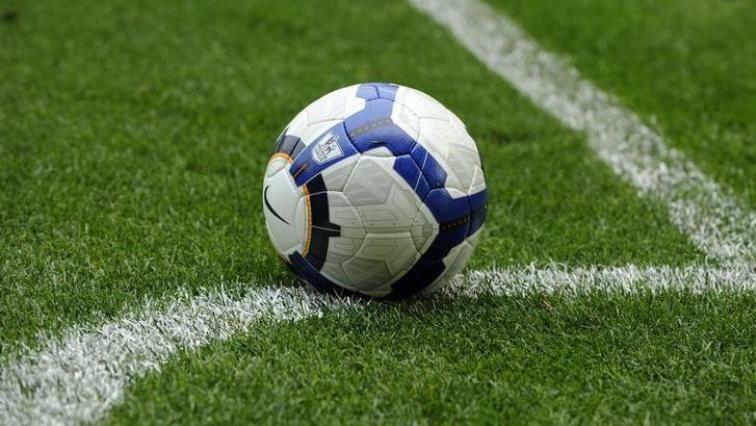 Otoho entered the return match in Owando, a town 500 kilometres (310 miles) north of capital Brazzaville, needing to score two unanswered goals to secure a final qualifying round place. Alou Bagayoko put Otoho ahead after 43 minutes by converting a penalty and Guy Mbenza netted three minutes into stoppage time for a famous victory. Otoho play FC Platinum of Zimbabwe home and away later this month for a place in the group phase of the premier African club competition. The unexpected success of Otoho came after poor performances by Congolese clubs led to them losing one of the two places previously allotted to the country in CAF club competitions. Otoho debuted in the Champions League last season and after defeating Mouloudia Alger of Algeria by two goals at home, suffered a humiliating nine-goal hiding in the second leg. Coton Sport of Cameroon, runners-up to Al Ahly of Egypt in 2008, eliminated ASF Bobo Dioulasso of Burkina Faso on penalties to avoid joining Primeiro on the scrapheap. Beaten 3-1 away last week in the first leg, Coton won by the same score in Yaounde thanks to goals from Nigerien Kamilou Daouda (two) and Ebembe Elimbi. Former champions Ismaily of Egypt, who achieved narrow home and away victories against Le Messager Ngozi of Burundi, will be the next opponents of Coton. Al Merrikh, the only Sudanese club to win a CAF competition, made a preliminary-round exit for the second successive season, this time to Vipers of Uganda. The Ugandans won 1-0 at home through a goal in the first minute of the second half from Abraham Ndugwa to squeeze through on away goals after a 2-2 aggregate stalemate. Merrikh fell last season to Township Rollers, who went on to become the first Botswana club to reach the group stage. But Rollers’ hopes of repeating that feat were thwarted this week by Bantu of Lesotho, who won on penalties after both legs finished in 1-1 draws. Lemponye Tshireletso gave Rollers an early second-leg lead in Maseru only for Hlompho Kalake to equalise before half-time. Mbabane Swallows of eSwatini, another club who exceeded expectations last season by making the group phase, were crushed 4-0 at home by Simba of Tanzania for an 8-1 overall hiding. The Simba scorers in Manzini, Zambian Clatous Chama (two), Ugandan Emmanuel Okwi and Rwandan Meddie Kagere, illustrated the multi-national make-up of the Dar es Salaam outfit. This entry was posted on 06 Dec 2018,02:51PM at 2:51 PM and is filed under Sport, News, Homepage Latest Stories Slider. You can follow any responses to this entry through the RSS 2.0 feed. Both comments and pings are currently closed.